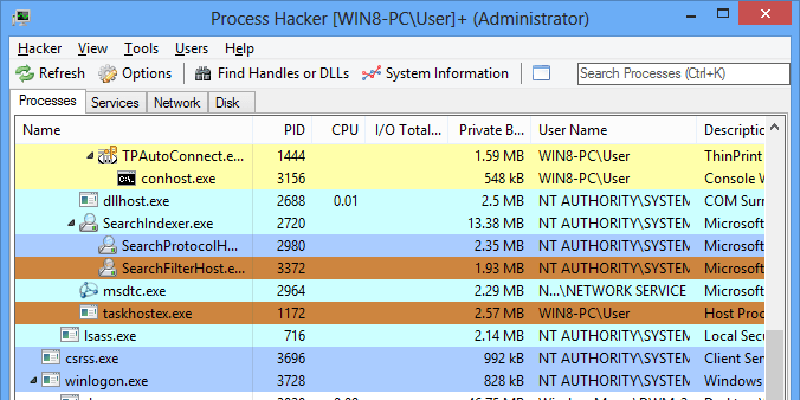 Process Hacker is a free, powerful, multi-purpose tool that helps you monitor system resources, debug software and detect malware. It lets you see a detailed overview of system activity with highlighting, shows graphs and statistics so you can see what’s running on your system, and so on. It is open source and is available for Windows PCs. Shows detailed overview of system activity with highlighting. Shows graphs and statistics to allow you quickly track down resource hogs and runaway processes. Helps you discover which processes are using a file. View detailed stack traces with kernel-mode.